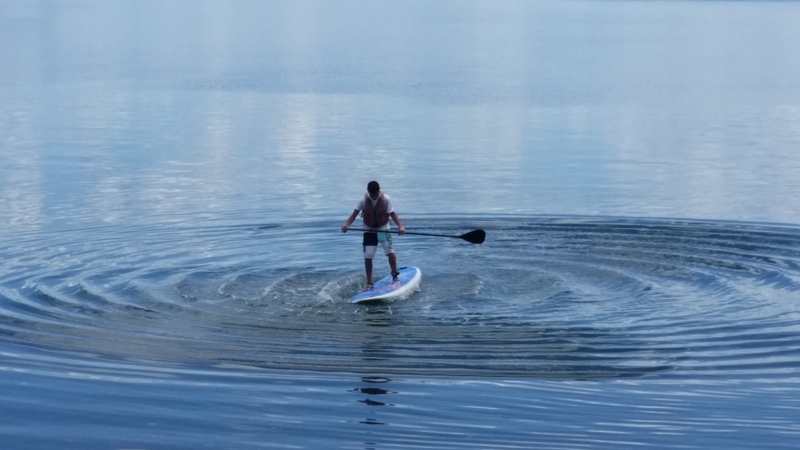 Kayak Brinnon’s paddle boards (SUPs) are stable, large, and most importantly – fun! We rent top-of-the-line 12 ft. fiberglass SUP ATX boards with adjustable paddles for the smoothest and most comfortable ride. Paddle Board / kayak hybrids are a new addition to our fleet that gives the paddler the option to do both! These 12.5 ft. Ocean Kayak Nalus come with seats and a combo paddle to switch between kayaking and paddle boarding. Summer water temperatures are usually in the mid 70s (F) so feel free to fall in and take a swim! We will provide you with a short tutorial and demonstration if it’s your first time. The rental price for a fiberglass paddle board is $25 for the first hour and $7.50 per additional half hour. Hybrids are $22 for the first hour and $8 per additional half hour. We generally do not allow our fiber glass paddle boards to leave the premises but will make exceptions for experienced paddle boarders and surfers who understand how to care for them. You are welcome to take our Paddle board / kayak hybrids off premises or have us deliver them to you. Our paddle boards are stable and large enough for one adult and one child. Dogs are also welcome on our boards. Children must wear a life vest (provided) and we recommend you bring one for your pup. Adults have the choice of wearing a full life vest or try our unobtrusive fanny pack inflatable PFD. During crabbing season you can rent small crab pots to bring home live Dungeness and Red Rock crab. 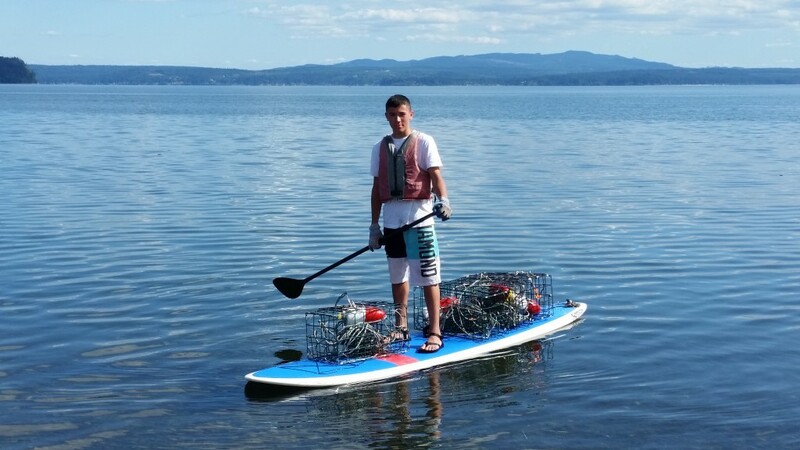 Crab pots are rented during Hood Canal crabbing season usually mid June to early September. Pots rent for $15 for the first day and $5 per additional day. If you’ve never been crabbing before we’ll show you how and give you some pointers on where to set your pots. Crabbing licenses and bait may be purchased at the Brinnon General Store or on line at https://fishhunt.dfw.wa.gov/. You can also purchase bait at McKay Crab and Shrimp Gear. 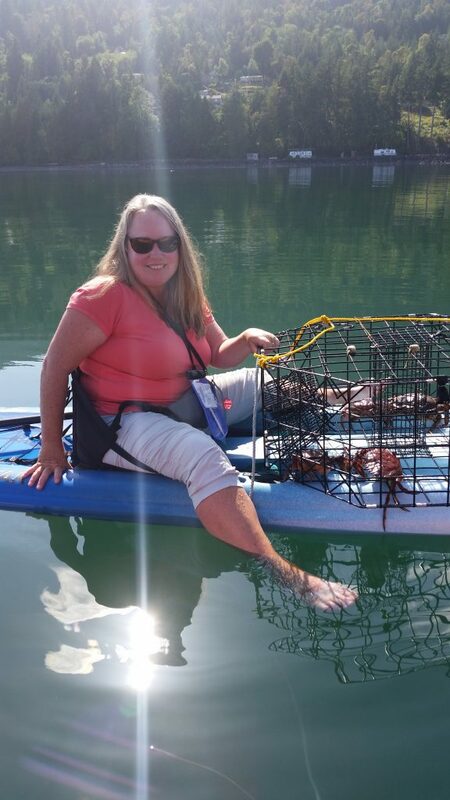 See our Kayak Crabbing page for more details. Crabbing off a SUP / Hybrid!